RASHI, the acronym and the name Rabbi Solomon Yitzhaki (ben Isaac) was called, was born in Troyes, France in 1040-976 years ago. How had Jews come to France from Jerusalem when the Temple fell in 70 from Rome's takeover? They probably followed the Roman-made highway to another Roman center along Via Agrippa to Troyes. RASHI also died here in 1105. No doubt, Jews had been trading with Troyes before the fall of the Temple in the year, 70, so some Jews were familiar with it. It was here that RASHI made his livelihood with his vineyard. He had studied in the Rhineland next door, mainly in Worms. "He was a fantastic scholar and studied with the greatest student of Rabbenu Gershom of Mainz." When he returned to Troyes, he established his own school, which achieved a wide reputation. 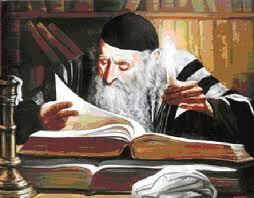 He was a writer of commentary on the Bible, mainly the Torah (Pentateuch) , and the Babylonian Talmud. He survived massacres of Jews from the First Crusaders of Europe. "Troyes (French pronunciation: ​[tʁwa]) is a commune and the capital of the department of Aube in north-central France. It is located on the Seine river about 150 km (93 mi) southeast of Paris. This area is known as the Champagne region of Northern France. . Troyes has been in existence since the Roman era, as Augustobona Tricassium, which stood at the hub of numerous highways, primarily the Via Agrippa. "Before Julius Caesar’s conquest, Troyes was already a town of the Gauls; under the Roman emperor Augustus it became the capital of the Gallic tribe known as the Tricasses (hence its name)." "The city was converted to Christianity in the 3rd century, and then the town was threatened by the Huns in the 5th century and was defended against them by its bishop, St. Loup. Sacked by the Normans in 889, it soon came under the authority of the counts of Champagne, who founded a number of churches and almshouses there and established the great fairs which gained an international reputation and brought Troyes exceptional prosperity"
In the early cathedral on the present site, Louis the Stammerer in 878 received at Troyes the imperial crown from the hands of Pope John VIII. At the end of the ninth century, following depredations to the city by Normans, the counts of Champagne chose Troyes as their capital; it remained the capital of the Province of Champagne until the Revolution.. During theMiddle Ages, it was an important trading town, and gave its name to troy weight. The Champagne cloth fairs and the revival of long-distance trade and new extension of coinage and credit were the real engines that drove the medieval economy of Troyes. In 1285, when Philip the Fair united Champagne to the royal domain, the town kept a number of its traditional privileges. John the Fearless, Duke of Burgundy and ally of the English, aimed in 1417 at making Troyes the capital of France, and he came to an understanding with Isabeau of Bavaria, wife of Charles VI of France, that a court, council, and parlementwith comptroller's offices should be established at Troyes. It was at Troyes, then in the hands of the Burgundians, that on 21 May 1420, theTreaty of Troyes was signed by which Henry V of England was betrothed to Catherine, daughter of Charles VI, and by terms of which he was to succeed Charles, to the detriment of the Dauphin. The high-water mark of Plantagenet hegemony in France was reversed when the Dauphin, afterwards Charles VII, and Joan of Arc recovered the town of Troyes in 1429." 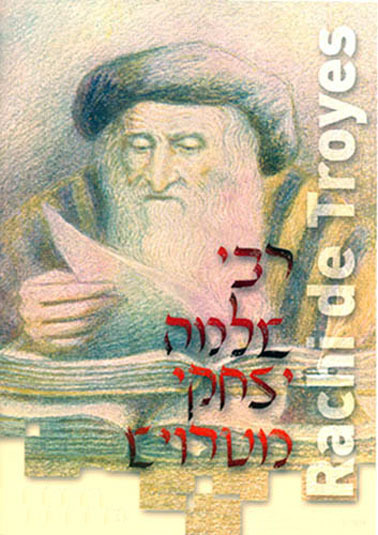 I notice that Wikipedia has not mentioned RASHI at all under Troyes, even though they list famous people born there, and he is the most famous and earliest of Jewish commentators of the Bible. 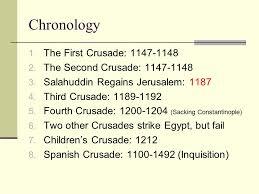 2nd Crusaders of 1147 who almost killed RASHI's Grandson, a Tosaphist. Tosaphists were French and German scholars of the 12 to 14th century who criticized and modified with explanatory notes on the Talmud. "The most famous of these Tosafists was Rashi's grandson, Rabbenu Tam (Jacob Ben Meir Tam-our perfect Master (1100-1171) , who frequently disagreed with his grandfather. He was the brother of Samuel ben Meir (Rashbam) and lived at Ramerupt until his home was destroyed by Crusaders in 1147 and he himself narrowly escaped death. " On May 8, 1147, on the second day of the Feast of Weeks, French crusaders broke into his home, robbed him of everything except his books, dragged him into a field, insulted him on account of his religion, and decided to kill him. They inflicted five wounds upon his head, in order, as they said, to take revenge upon the most prominent man in Israel for the five blows which the Jews had dealt to Jesus. At that moment a prince of high rank happened to pass, and Jacob called upon him for protection, promising him a horse worth five marks in return. The prince thereupon bade the crusaders give the rabbi into his keeping, promising that he would either persuade him to be baptized or place him in their power again on the following day (Ephraim bar Jacob, in Neubauer and Stern, "Hebr. Berichte über die Judenverfolgungen Während der Kreuzzüge," p. 64)".Then he also settled in Troyes where in 1160, the first conference of French rabbis met under his leadership. He had become the outstanding rabbinical authority of his day. To this day, some orthodox Jews alternately wear 2 pairs of tephillin, one according to Rashi and the other according to Rabenu Tam. Our family is related to RASHI as we have found out through DNA testing with an autosomal test, and we are not alone. Many others are, too. Rashi's family tree traced back to a connection to King David of Israel (1010 BCE-970 BCE). .